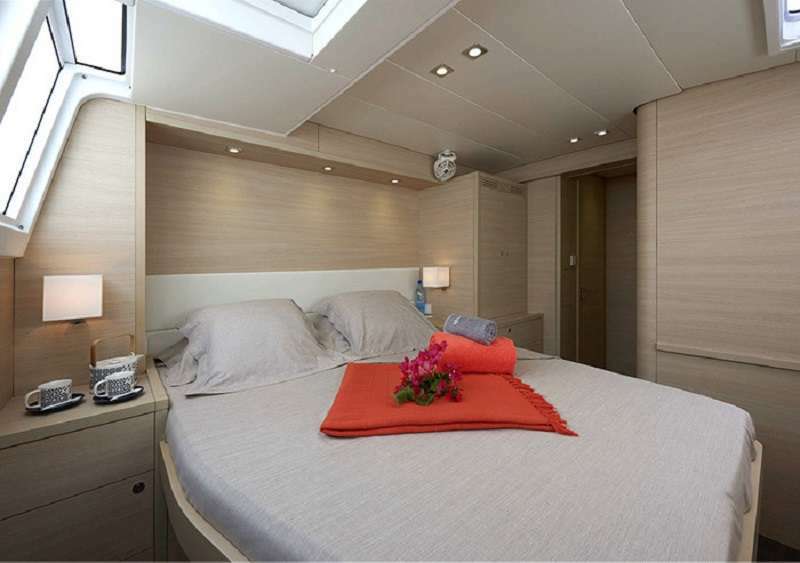 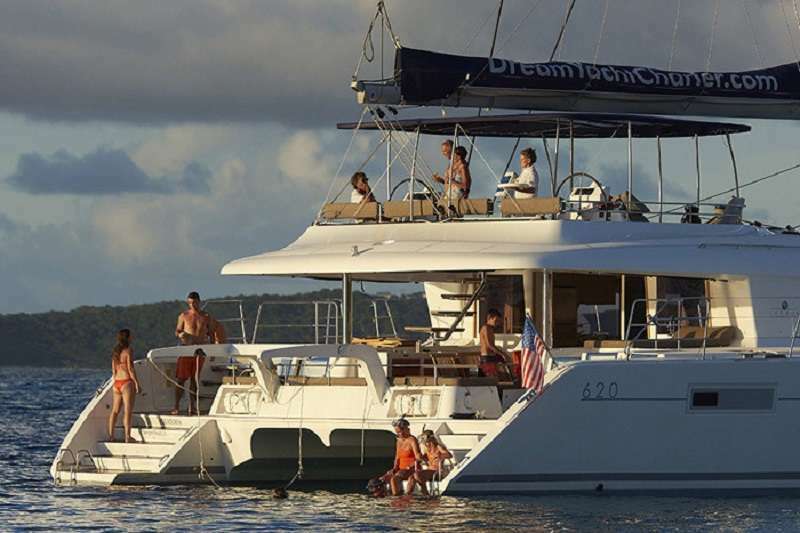 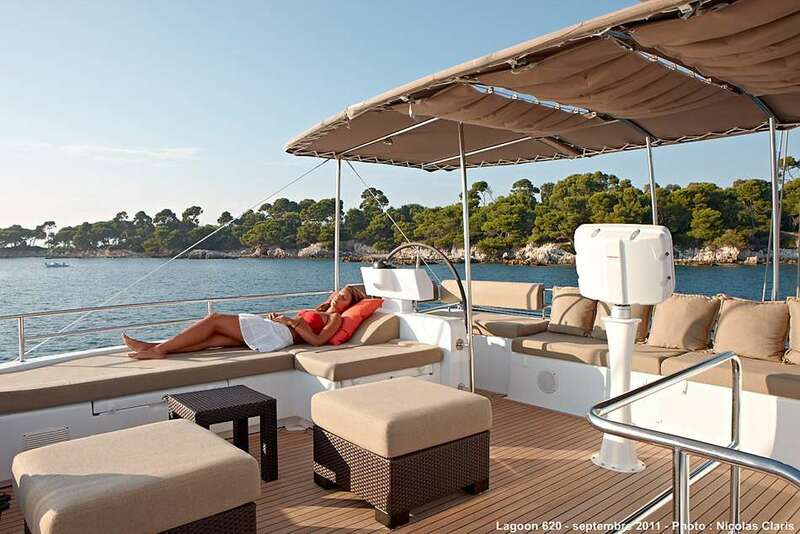 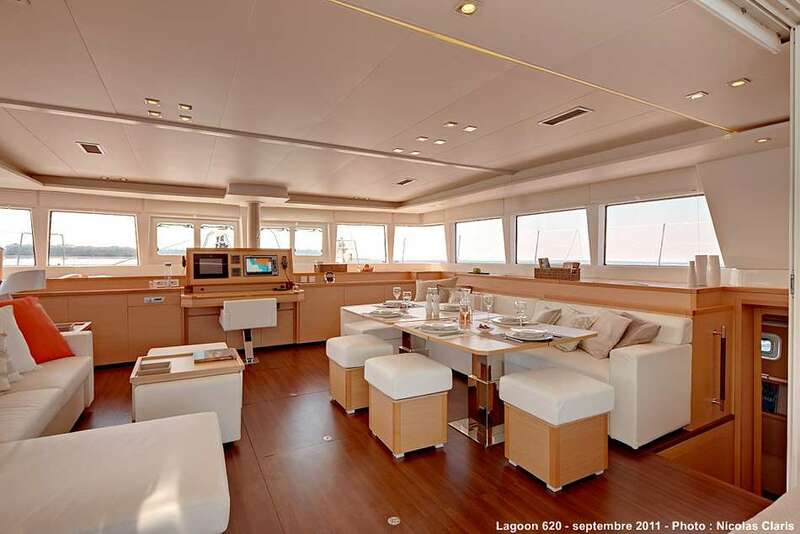 The Lagoon 620 is a real piece of art, designed for luxury sailing charters. 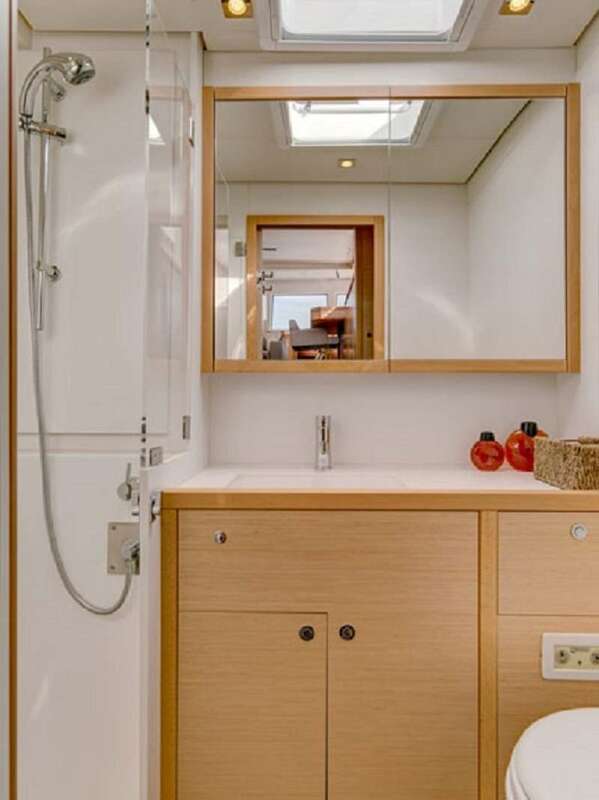 French builder Lagoon Catamaran designed the 620 with solid performance hulls and a six cabin layout each with a separate head and shower. 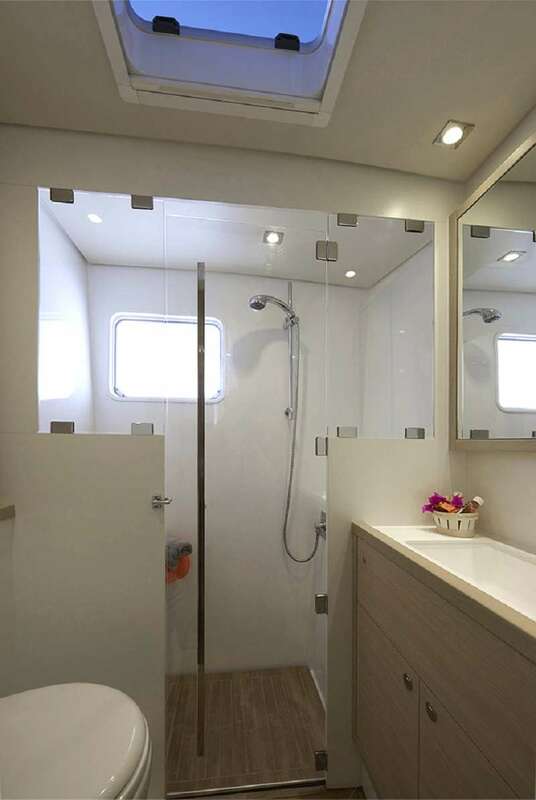 Comfort and safety are emphasized by the wide side decks and integrated hatchways which make you feel really relaxed while moving around the exterior. 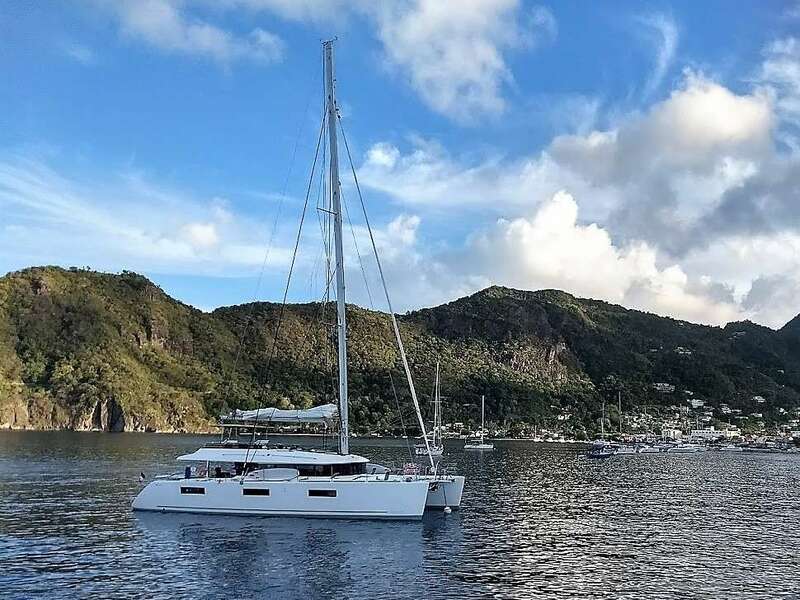 The flybridge is designed in a manner to provide a new living space on board – not only is the skipper allowed to stay there but the entire family could enjoy the overall view and the sensation of helming. 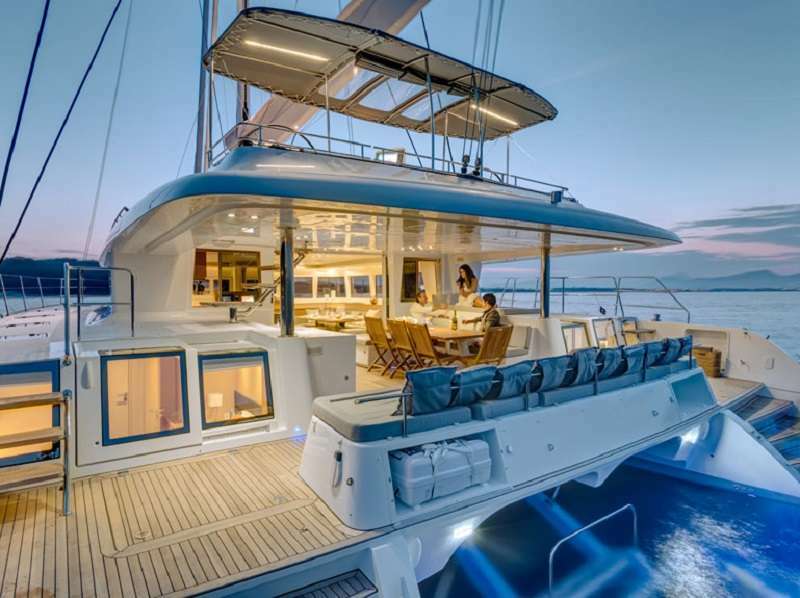 There is enough space literally for the whole crew – the helm, winches, jammers and all other commands are combined with a lounge area and a sunbathing terrace. 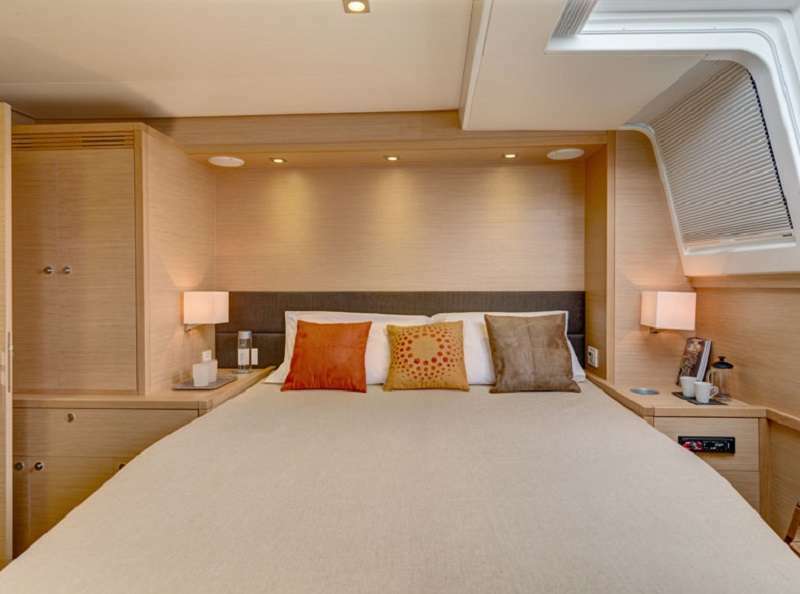 The central galley is designed in a manner to provide a chef a panoramic view both of the outside and the saloon/dining room while the passengers can enjoy chef’s view and communicate with them while preparing meals.